The Coaches Are Pouring At The Beer And Wine Tasting Fundraiser! THE 2018 BEER AND WINE TASTING WAS A GREAT SUCCESS. NOT ONLY WAS OUR GOAL REACHED, IT WAS EXCEEDED! THANK YOU TO EVERYONE WHO PARTICIPATED! WATCH FOR THE EVENT'S RETURN IN FEBRUARY 2019. 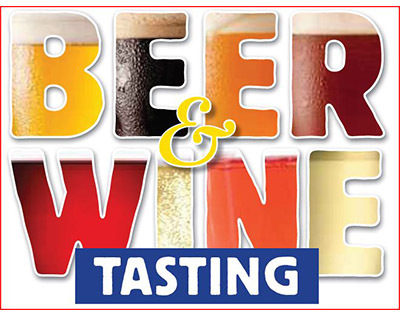 Join us for a beer and wine tasting event, Swirl and Sip for Soccer presented by USCCA/Delta Defense, on Saturday, February 3 from 7-10 p.m. at the Milwaukee Public Market. All proceeds from the tasting, sponsorships, and auction will be directed to maintenance and improvements required to extend the life of the existing turf ($14,000) at FC Wisconsin’s home fields in Germantown, Wisconsin. and a $15 charitable donation to FC Wisconsin. Many thanks to our Presenting Sponsor USCCA/Delta Defense and Table Sponsors Badger Contracting, The Borowski Team-Homestead Realty, Cafe 1505, the Norfolk Family and Creative Business Interiors, Friends of FC, Milwaukee Real Estate Solutions, West Bend Mutual Insurance, Wooden Wonders, and Adam Marshall of Zingen & Braun Insurance Agency. FC Wisconsin is accepting gift-in-kind donations valued at $100 or more to be auction off as part of the Swirl and Sip for Soccer fundraiser.